This is my biggest buck. He went 171.3 pounds and sported 13 points. Last edited by Night Eyes; 01-16-2019 at 03:04 PM. WOW! Congratulations. That's a great buck. Ver nice buck with a big rack. Congratulations. 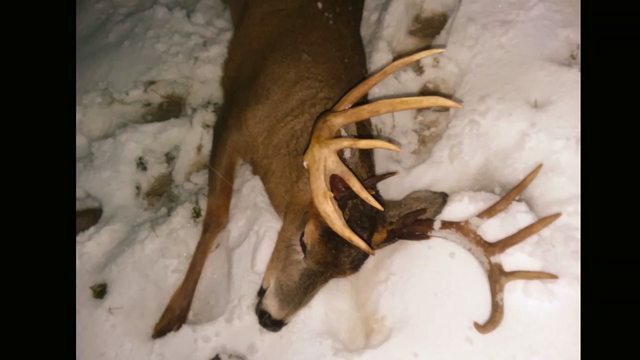 Congrats on a successful hunt and a nice buck. I'm having problems uploading pictures, due to the file size. But here's a better picture of the rack. Just trying to post a picture. That is a stud! Congratz!